So CASA GRANDE, Ariz. – After years of throwing away money, one Arizona elementary school is installing synthetic grass. That’s right, the playground is getting a makeover. Seems like it is the perfect solution when grass won’t grow. Plus, it’s a lot safer too. Read on for details. However, It wasn’t just the wear and tear caused by the school’s 340 or so students that undermined the school’s attempts to grow a playground of natural grass. To begin with, the school is in the very arid Southwest, nearly 30 miles south of Phoenix. As such, the ground is tough and dry. Hence, it, does not welcome natural grass. “We looked into alternatives and decided that synthetic grass just made more sense,” Ocampo said. St. Anthony chose to have Scottsdale based STC (Synthetic Turf Company) install the playground. 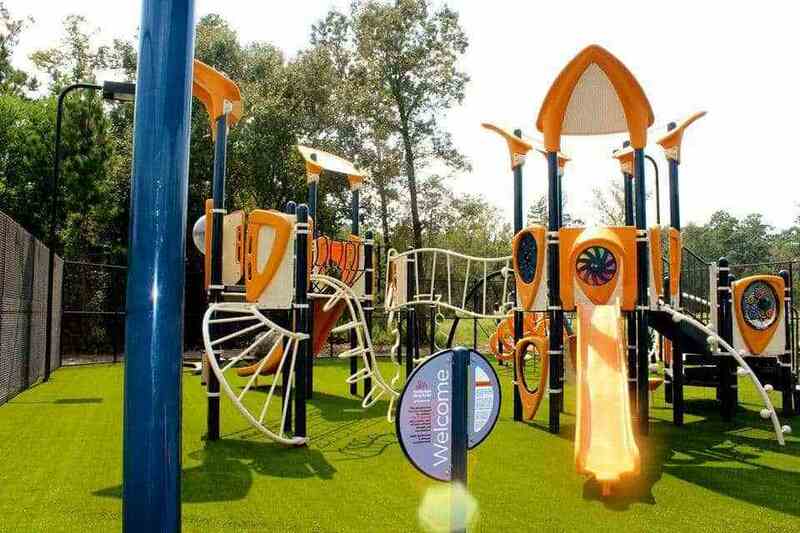 Ocampo joined St. Anthony after the school had decided to install an artificial lawn on its 11,000-square-foot playground. So, she was unfamiliar with artificial lawns beforehand. The results have garnered similarly positive reviews from residents in the school’s neighborhood. Yet, Ocampo concedes that the true test for the installation will come when the students return from summer vacation. “So if they like it, and if they don’t tear it up, it’s a real success,” she said. Based on how the lawn fares under the children’s treatment, St. Anthony may look into installing NewGrass™ in its smaller pre-school yard, Ocampo said. it’s the perfect solution when grass won’t grow. “So we’ll see how the big one does first,” she said. Along with their durability and being “live” all year long, synthetic grasses are popular alternatives for many schoolyards. And this is especially true where natural grass simply can’t grow in playground areas or has been worn down to dirt through repeated use. NewGrass™ is installed with a layer of fine sand within and under the blades. Hence, this has the practical effect of keeping the blades lifted and looking fresh. Furthermore, on a play area or schoolyard, it adds another level of cushioning. And two other playground culprits — dust and dirt — are also eliminated with synthetic grass. So maybe it’s time for your school or other municipality to consider NewGrass. Whatever the project, we have the product.